Have you given consideration to what will happen to your business if you or your co-owner die? The legal position varies depending on the structure of the business, but in all types of business, having in place an effective succession plan can help to ensure that the transfer goes as smoothly as possible and that tax liabilities are minimised. Failure to make an adequate plan can have far-reaching effects and could lead to disruption, disputes, tax consequences which could have been avoided or even a failure of the business entirely. This is the first in a series of articles looking at what happens to a business on the death of a business owner. 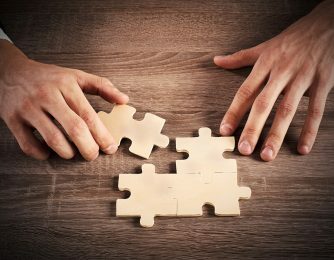 This article looks in particular at the issues that arise in businesses being run as partnerships and considers the alternative ways to improve certainty for continuing partners, family members and employees alike. Unplanned, and undocumented, successions can create a great deal of problems within partnerships. This happens most frequently in family-run partnerships where the parties previously have been reluctant to seek advice from external advisers, relying instead on the existing family relationships to regulate management. Unfortunately, this often means they are unaware of the impact the death of one of the partners can have on the business. If there is no partnership agreement, or the partnership agreement does not make express provision for what should happen on death, a piece of legislation from 1890, called the Partnership Act, will govern what happens next. The Act states that the partnership is automatically dissolved on the death of any partner and from then on the remaining partners should act only to wind up the business and sell the assets – even if there are several other partners who wish to carry on the business. A dissolution also occurs automatically, if there are only two partners and one of them dies. If a dissolution does arise on death, the personal representatives (PRs) of the deceased partner can insist that the partnership is wound up and the assets sold. The surviving partners have no inherent right to acquire the deceased partner’s share. This then leaves both the PRs and the surviving partners in a difficult position – having to deal with beneficiaries at a highly sensitive time to try to reach agreement on a more suitable arrangement. Reaching such agreement can take some time. Meanwhile the viability of the business is endangered, employees may leave due to the uncertainty and there can be negative effects on critical contracts, cash flow and goodwill. The next most common scenario we see is where the deceased partner has considered what they would like to happen on their death and has drawn up a Will, but has not reviewed the partnership agreement at the same time. It is important to ensure that both the partnership agreement and the Will, and if relevant the terms of any trust, reflect and correspond with the succession plan. Although a partner can purport to dispose of their partnership share in their Will, if the partnership agreement also contains provisions about what happens to a deceased partner’s interest in the business and partnership assets, but different provisions are made for what should happen on death, the terms of the partnership agreement will override the provisions of the Will. Detailed consideration should be given in advance as to what will happen to the partnership share after the death of a partner. A well thought through plan will deal with what will need to happen on a practical level, how the partnership share will transfer and to whom, how any valuation will be carried out, and when and how that share will be paid for. The plan needs to consider the interests of the beneficiaries and also how to reduce the impact of the death on the business. Where appropriate, consideration should be given as to how to reduce the impact on cash flow to enable the continuing partners to continue the business. The details of the plan will depend on the individual circumstances, including the financial position of the remaining partners, the on-going viability of the business and the tax regime, and, perhaps most importantly, the personalities of any individuals involved. At Thompson Smith and Puxon our business succession team can help you to establish a succession plan tailor-made for your business, to help ensure that control of the business is transferred according to your wishes, while also providing on-going financial security for you and your family. If you would like any further advice on how to protect your business please contact Claire Powell at claire.powell@tsplegal.com or on 01206 217050.